Worlds of Empyrea, written by Frank Mentzer (famed Dungeons & Dragons author) is a setting book with a difference. It's not written for just one system. Or two. Or three. It's written with rules for 10 different gaming systems. If you're wanting a new place for your game to be set and don't want to have to convert rules from other system to yours, you'll want to check this project out. It's up now on Kickstarter. Legendary Dungeons & Dragons® game author Frank Mentzer presents his own fantasy world, 40 years in the making! Philadelphia PA, 1978: Singles and spouses gather to tell stories together in a game that has run for 2 years, half as old as the rules themselves. These are the new Role Players, choosing cooperative games over competition. They love the epic tales from Frank’s D&D® game...fun and exciting, the dawn of an era! Lake Geneva, 1983: Working at TSR, publisher of the game, Frank writes the D&D “Red Box” set and a full line thereafter, selling tens of millions of copies in 14 languages. Near Lake Geneva, 2017: After a lifetime of gaming experience, the creator of that original campaign offers it for everyone’s use. 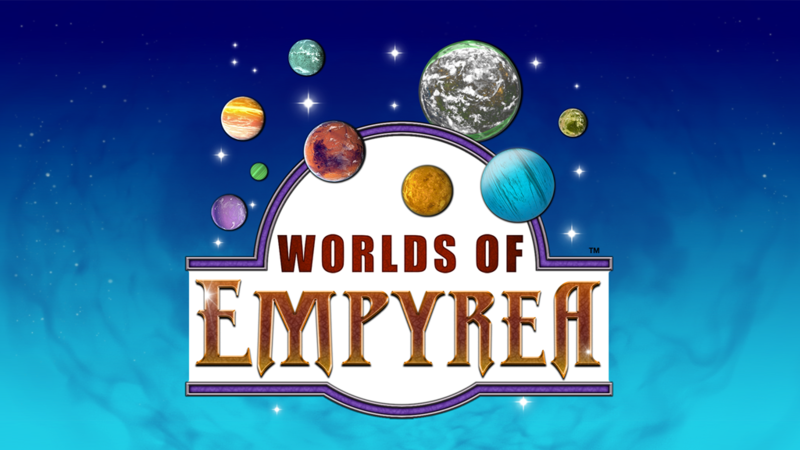 Loxley inc proudly presents—Frank Mentzer’s Worlds of Empyrea. The Kickstarter is about 1/5 of the way to funding with still 39 days left to go.